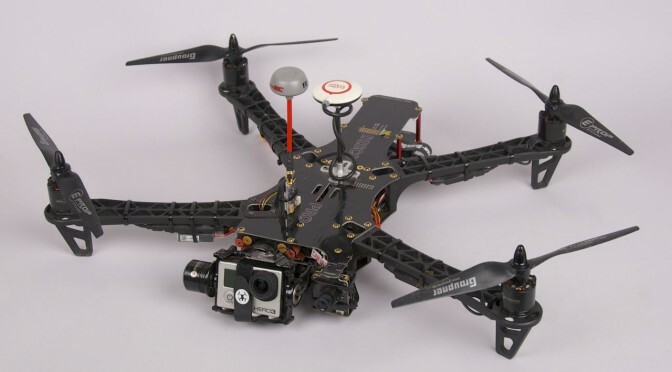 The Discovery Pro is a quadcopter from Team Blacksheep with a 2D gimbal for mounting a GoPro. Similar to its predecessor the Discovery (without the Pro) all the electronics is built into the frame. The Discovery Pro can be ordered as a kit or pre-assabled. More images can be found in the gallery. TBS Discovery Pro with GoPro Hero3. Build log part 1, part 2 and part 3 of the first build. Building it for the 2nd time.